Why is it important to get out there and connect with other humans? That is a question I have been plagued with for most of my life. I am afraid of social situations where I fear I am going to be judged or victimized by others. For a long time, I found it much easier to tuck myself away in my tiny room with my laptop and get by on my virtual presence. That only works for so long. You know what they say, "don't believe your own press!" While likes and pithy comments on my pictures and articles are nice, I have often wondered whether my purpose here on social media is REALLY hitting the pulse. Are people really impacted by the things I am trying to express? What ACTUAL tidbits of advice and perspective are people actually walking away with and applying to their everyday lives? A few of you out there have been following me for sometime. 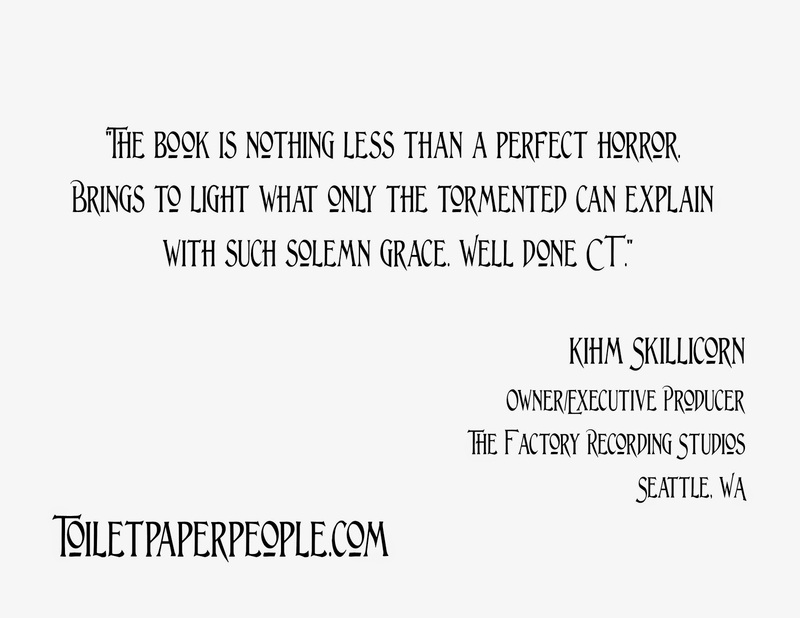 Some of you have read my book "Toilet Paper People" and found some amount of value from my child abuse experience. I am genuinely moved to tears when I here from those who can relate and have found healing through my words. 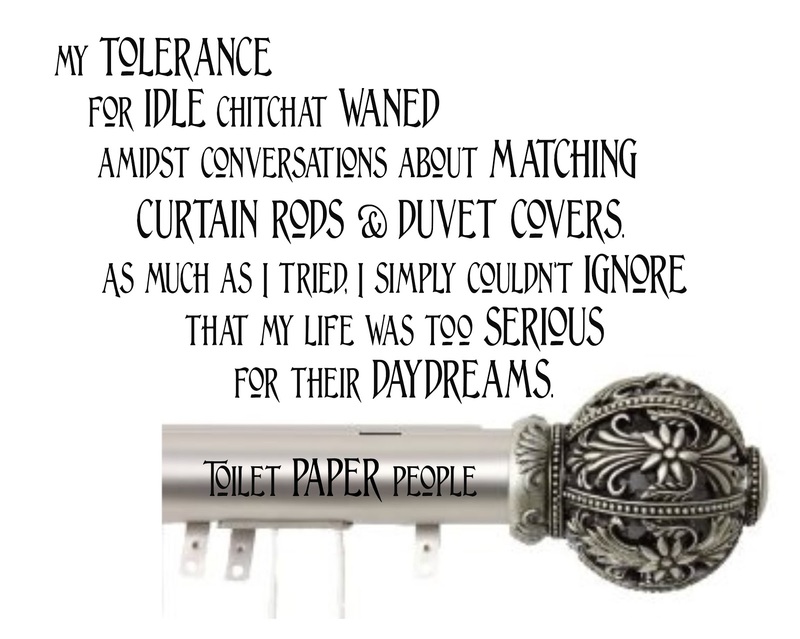 I've taken a break from "Toilet Paper People. 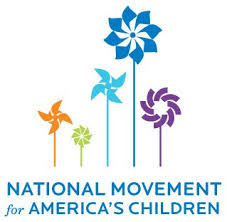 Not, from my mission of advocacy for others suffering like I have and continue to. I had to take a very real break from the telling of my story. I had to find a way to actually heal from the wounds of my past. Writing is an excellent way of getting it out, but I realized that I had little hope to offer outside of my written words. For people like me, it is important to get the story out. It is even more important to find ways of re-creating ourselves and our perspective on the world at-large. After writing my book, I was faced with "what next?" I had forced myself into the deepest end of the pool and resurfaced blind. That's a scary place to be. I knew that judging every social interaction with the same lens I had to have with my adoptive parents wouldn't be fair to those who encountered me. I had to find a way of relating to people that wouldn't be so uncertain. Feeling too often like I had my hand on the trigger during seemingly ordinary conversations , I allowed myself to become a recluse and prayed for a good long time about ways I could make my existence easier and more rewarding. Thinking back on my experience in those darkest of days, I remembered the scrappy little dolls I created out of toilet paper. That creative spark was the thing that saved me from becoming an outright terrorist. Instead of focusing on my anger and fear, I focused my attention on the creation of these little dolls and found hope and purpose. I can't imagine what would have happened to me had I not learned how to be creatively resourceful. Fast-forwarding to today, I recognized that I had lapsed in my willingness to hold myself accountable to the ideals I was blessed with at a very young age. EVERYONE IS BLESSED WITH AN OUTLET. Our lives are dependent on determining what that outlet is... the earlier, the better. Bored with the white toilet paper, glue sticks, and toothpicks, it wasn't difficult to fall in love with the colors I would find while playing around with photo-editing software long after the nightmare of my childhood was through. In much the same way I got lost with my toilet paper people, I get lost in my art. Do you know what the funny thing is? I have found that when I'm able to get lost in my art, I am better able to relate to people. It is much easier to talk about my art and colors and fantasy than it is to talk about the years I lost to abusive parents. I want to teach other young adults how to do that. I want to do ANYTHING I can to provide creative resources to those who need them the most. It took me a long time to find the resources I would need to create the art that has healed me. 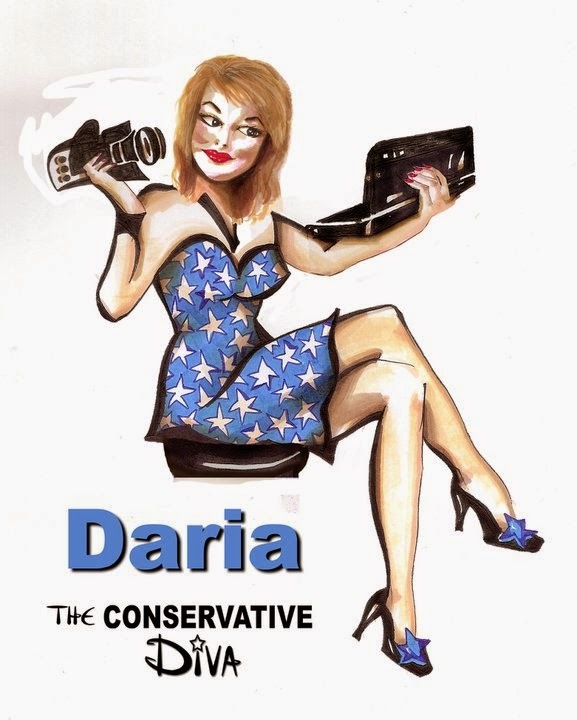 I hope that you will be able to join me at my event in Nashville on March 24th. I have included a link here where you can buy tickets. If you don't live in Nashville but would still like to support my mission, I will donate your ticket sale to a local charity who shares my goal. I want to thank each and every one of those who has reached out to me over the years. Your energy and hope CAN move mountains. Dark Humor in Toilet Paper People?.... Why, of Course! An All Out Great Read! 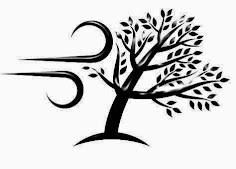 "Being a survivor myself, of childhood abuse, I generally avoid "survivor" stories as I am at the point in my story where I don't want to be reminded of these experiences. Been there done that for too many years. Plus, I consider myself a book snob, and am picky about what I read. However, I encountered Cherry's blog quite by accident and loved what I read. 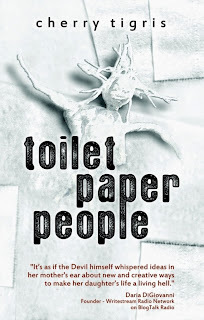 I dearly wanted to read more, and my only option was to read "toilet paper people". Yes, her suffering at the hands of a sociopathic parental figure was despicable, and many times I wanted to jump into the book and murder "that woman." However, what are more important to me about this book are the skill, dark humor, and power of observation that show up on every page. 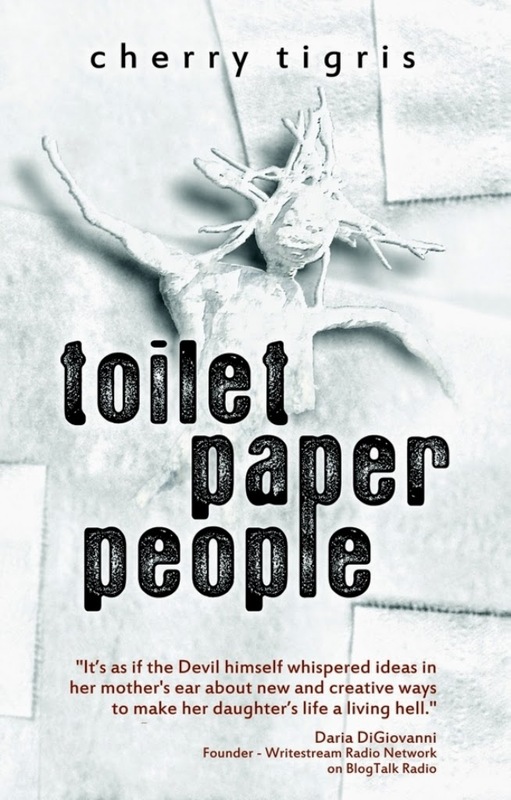 I kept turning the pages for those reasons and finished "toilet paper people" in one day. Instead of feeling re-traumatized myself, I felt enriched by such fine craft. 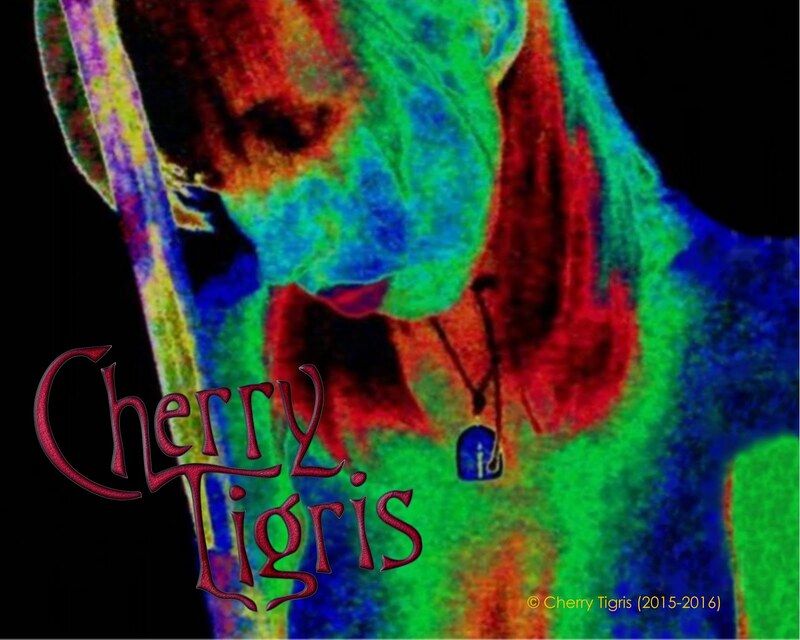 Ms. Tigris is a multi talented artist who also writes and performs hypnotic, compelling music. Fasten your seat belt: she is a force to be reckoned with!" My art will be showcased at their April Powerhouse Awards Luncheon! Shame Should Fall on the Child Abusers... not the Victims. 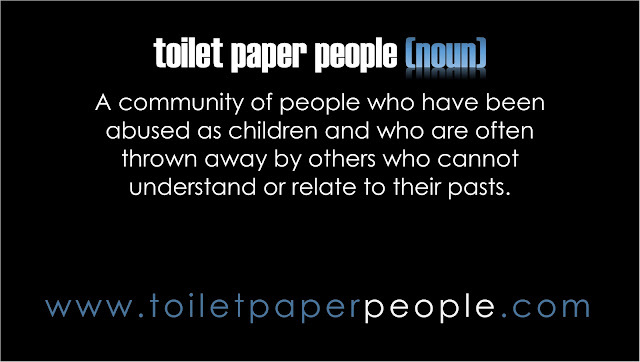 Visit Toilet Paper People's profile on Pinterest. “We carry this so that future generations' load will be lighter, so that this movement to change the world will be less of a burden. So that instead of having to start a conversation about these issues within their communities, they can join one that is already going on. "This book resonated to my very core even though I have no personal experience with the thematic content. Cherry Tigris writes so beautifully; her voice expresses both the pain of a tortured innocent child and the strength of a woman who has overcome. 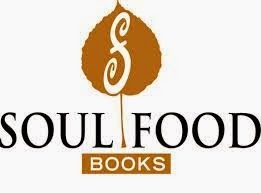 There were many times I felt I could not finish the book, but the connection Cherry made with me as an narrator to a reader meant that I did not feel I could put it away, lest I be one more person unwilling to save a little girl from her abuser." 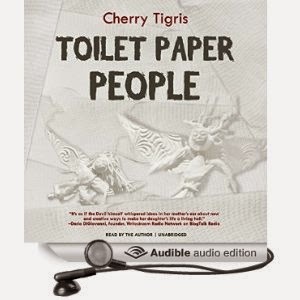 "Cherry Tigris is one of my favorite voices that addresses some visceral places in our society. She is a fantastic example of how using her creativity, vulnerability, courage and experience gives voice to change in the world."